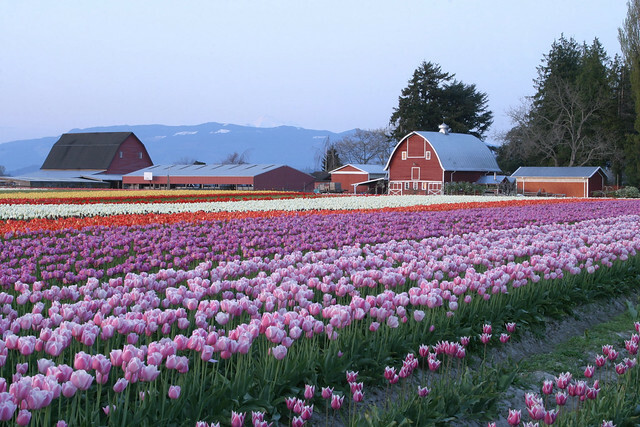 The Skagit Valley Tulip Festival returns April 1st to April 30th in Washington State, in the La Conner and Mount Vernon area, just a quick drive from the border. 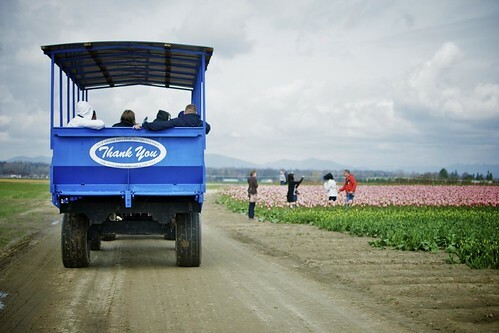 During your visit, you can drive to various tulip, daffodil and iris fields and events or do a cycling tour. There are dozens of locations for activities with Tulip Town (15002 Bradshaw Road) and RoozenGaarde (15867 Beaver Marsh Road) being hubs. RoozenGaarde will be open from 9:00am to 7:00pm daily through the end of April. Right now the early spring blooming tulips, daffodils, and other bulbs are coloring the garden at 15867 Beaver Marsh Rd. in Mount Vernon. Admission is $5.00 per adult, children 6 and under free. 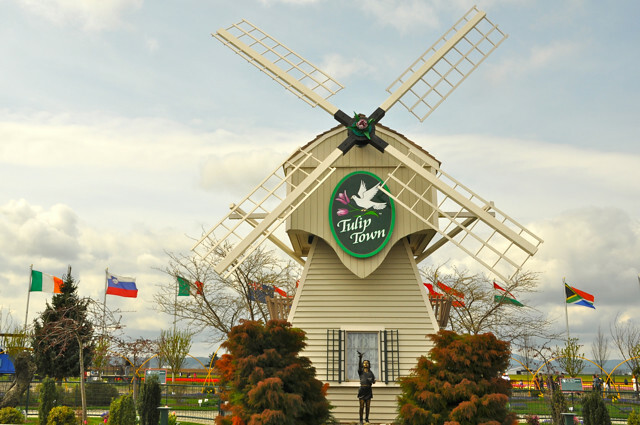 Tulip Town is opening early this spring, ready to greet visitors from 9:00am to 5:00pm daily (later if weather permits) through the end of April. 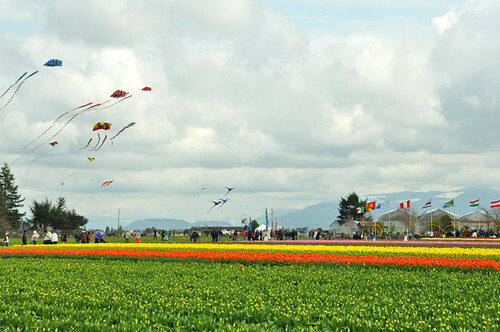 The growers at Tulip Town report they have early varieties blooming to greet visitors at 15002 Bradshaw Rd. in Mount Vernon. Admission is $6.00 per adult, children 6 and under free. RoozenGaarde and Tulip Town both have free parking adjacent to their facilities. Pets are not allowed in the gardens. There are several special events throughout the month, like the Tulip Run on April 9th, the 35th Annual Tulip Pedal April 16th, the Anacortes Arts Festival with 3rd Annual “Art in Bloom” Fine Art Exhibition, and more. Mount Vernon and La Conner are about 100km south of Vancouver and 90km north of Seattle just off the I-5.